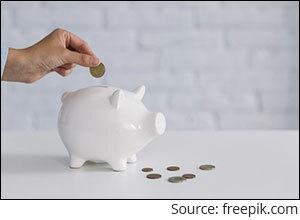 Liquid Funds v/s Overnight Funds: Where To Park Your Short-Term Money? Have liquid funds started to go to seed? With some of these funds losing as much as 5% in a day after the fallout episodes of DHFL and IL&FS, investors might have become slightly apprehensive about them. Will liquid funds be able to come up smelling of roses? For now, investors seem to have turned more defensive and are searching for safer alternatives to liquid funds. In fact, Overnight funds have become their preferred alternative these days. What's the difference between liquid funds and overnight funds? According to SEBI's categorisation norms, overnight funds are open-ended debt schemes investing in overnight securities with a maturity of one day. They primarily invest in Tri-Party Repo (TREP). According to The Clearing Corporation of India Limited (CCIL) a TREP is an alternate repo arrangement which seeks to provide borrowers control over their unencumbered collateral, with minimal settlement costs to the lender and independent confirmation that their lending is fully collateralised. 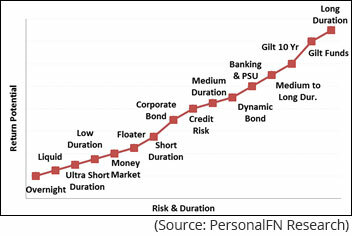 On the other hand, liquid funds invest in debt and money market instrument papers with a maturity profile of upto 91 days. The investment basket of liquid funds is quite diverse. So they invest in a variety of money market instruments such as Certificate of Deposits (CDs) and Commercial Papers (CPs), which also carry higher credit risk as compared to other overnight instruments. Overnight funds have little chances of default risk since they mainly invest in collateralised securities. Since overnight funds invest in securities with a residual maturity of just a day, the interest rate risk involved therein is near zero. However, there can be a reinvestment risk, i.e. overnight funds may not be able to reinvest their proceeds at the same rate of return, but at least that doesn't cause any capital erosion. In comparison, unlike overnight funds, liquid funds don't restrict themselves to collateralised securities. They invest in a range of securities which might involve credit risk like some mutual funds experienced in the case of Amtek Auto, Ballarpur Industries and IL&FS. SEBI has recently introduced marked-to-market norms for all securities held by liquid funds having a residual maturity of more than 30 days. While mark-to-market risk can cause capital erosion, liquid funds tend to suffer losses on mark-to-market basis only when they take either excessive credit risks or interest rate risks. While selecting between liquid funds and overnight funds or any other debt mutual funds for that matter, you need to evaluate the risk return trade-off they have to offer. They are more transparent as compared to liquid funds since the Net Asset Value of an overnight fund reflects the true value of the portfolio holdings as on a particular day. Since not all securities are valued at mark-to-market basis, any unforeseen drop in the value of any security in the portfolio can affect the total value of a portfolio. Since overnight funds tend to generate repos in line with RBI's policy rate, i.e. repo rate. Overnight funds are more sensitive to systemic liquidity conditions than liquid funds are. Excess liquidity drags potential return down and vice-versa. Past performance is not an indicator for future returns. The percentage returns shown are only for an indicative purpose. Mutual Fund investments are subject to market risks. Read all scheme related documents carefully. Speak to your investment advisor for further assistance before investing. Against this, liquid funds have a wide range of investment options and can hold securities with relatively longer residual maturity, as compared to that in overnight funds. Liquid funds have a high return potential, although at a slightly higher risk. Liquid funds are supposed to be an ideal alternative to one's savings bank account. That's the reason their primary objective is to keep your money safe and offer high liquidity. Remember, returns come secondary. But many fund managers seem to be neglecting the rule and aim for a higher yield on liquid funds instead. Primarily, most of them are in a race to attract more investors with the higher returns on liquid funds. However, you shouldn't blindly select overnight funds over liquid funds. Rather, you should select a fund category depending on your time horizon and risk appetite. If you have a time horizon of less than a month and want to keep your money safe, it's better to go with overnight funds. On the other hand, if you are willing to take a slightly higher credit risk for a better yield and can stay invested for at least three months, liquid funds are still a place to be. Please don't forget, IL&FS and DHFL fiascos aren't routine incidents. Mutual fund houses, hopefully, have learnt from their blunders. But it is still better to be cautious and do a risk-reward assessment before parking your money in liquid funds. Otherwise overnight funds are worth considering if you want safety of invested capital. PS: Are you looking for "high investment gains at relatively moderate risk"? We have a ready solution that may be suitable for you. In the 2019 Edition of PersonalFN's Premium Report, "The Strategic Funds Portfolio For 2025", you will get access to a ready-made portfolio of its top recommended equity mutual funds for 2025 that have the ability to generate lucrative returns over the next 5 to 6 years. Equitymaster requests your view! Post a comment on "Liquid Funds v/s Overnight Funds: Where To Park Your Short-Term Money?". Click here!